Dan was great! From start to finish, super flexible, very knowledgeable, and always there to answer questions. 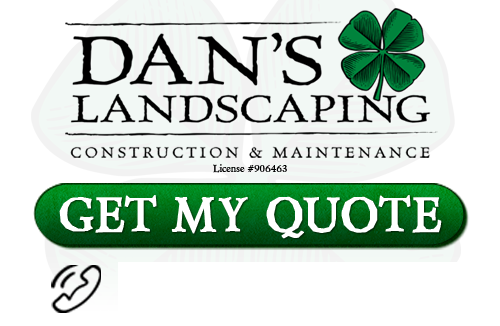 Dan worked with us on our budget and we would highly recommend him and all his workers to anyone looking for a quality landscape. This was a great experience from start to finish. Dan and Leah brought our ideas to life and the result is fantastic. Dan's crew was professional and courteous and didn't leave each day until the site was cleaned up. Highly recommended. Awesome -Thanks Dan & Co! It was a pleasure to work with Dan and Leah on our front yard makeover. They had many great ideas to guide us on our project. Their employees were also very professional and knowledgeable. We live our new yard. The entire experience was excellent. I felt that my ideas were listened to and the finished product is beautiful. Thank you. Absolutely fantastic! Dan and his team were incredible. Responsive, creative, and exceptionally high quality. We couldn't be more thrilled! Flawless start to finish. Recommend heartily. Bid was accurate. Work done as proposed. Communication all through the process was excellent. If you are looking for San Luis Obispo landscaper Testimonials or Reviews, please call Dan’s Landscaping Company at 805-550-5488 or fill out our online request form.